We see it as our duty to properly protect the nature and environment in and around Camping Zeeburg. Our policy leads to results. 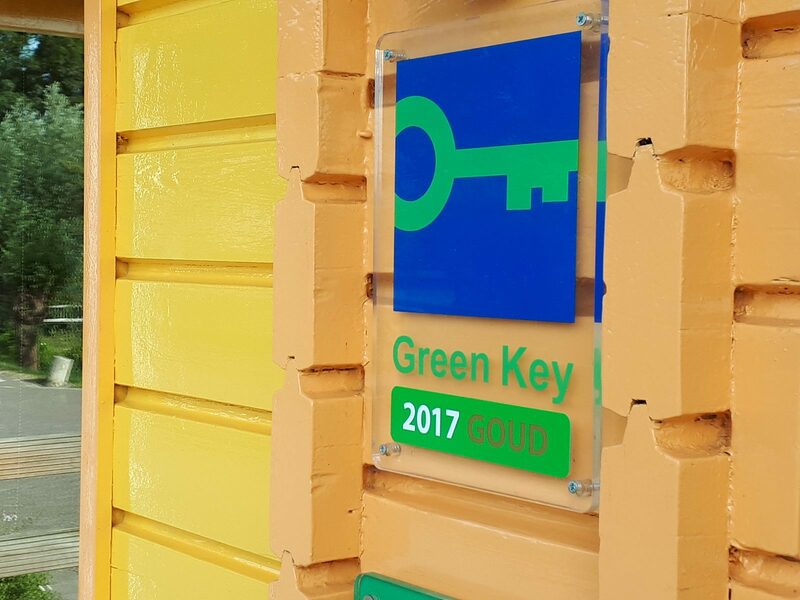 This is proven by the Green Key, the first international environment label for tourist accommodations, with strict criteria and an independent jury. At Camping Zeeburg you can be sure that we meet all requirements for water preservation, energy and waste management and a responsible acquisition policy. Currently Camping Zeeburg has the Golden Green Key, with 73 out of the 83 points maximum! This is the highest attainable label for this quality mark. Camping Zeeburg is situated in the middle of the wildest nature you'll find in Amsterdam. We try to offer safe spaces for nesting to animals who find their natural habitat around the IJmeer. 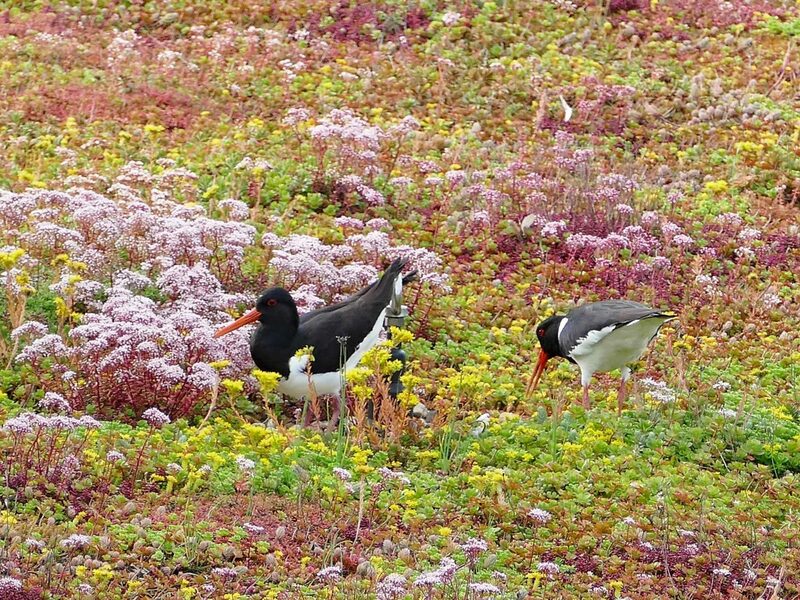 Oystercatchers and other birds enjoy our green roofs. You will be amazed at how many rare wild animals you will come across in and around Camping Zeeburg. Kingfishers, spotted woodpeckers, grass snakes and even a marten have been spotted. Another animal that appears quite often in our area is the bat. 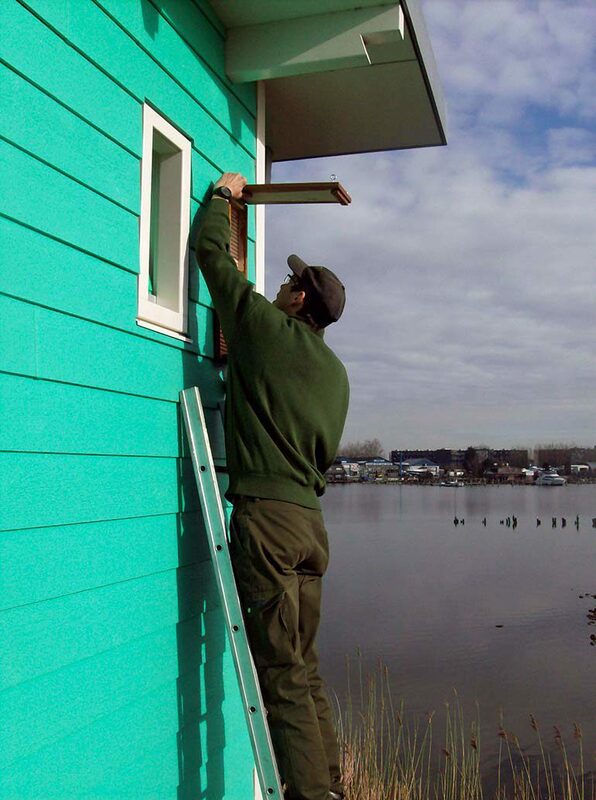 In order to give them a safe space to spend the winter, bat boxes have been installed. Take a look around, and you will surely see one hanging in a tree, or on one of the cabins. Even more is happening in the roofs; solar panels provide power for all the cooling units on our terrain. Additionally we have solar collectors. These make sure that the shower water is preheated. This allows us to save a lot of energy. During winter, the collectors provide enough energy to keep the shower block heated. The restaurant is preheated by the warm and filtered air from the kitchen, so that it requires less heating. A lot of cleaning is done on the campsite. During summer, the cleaners even go around four times a day! Our facilities team only uses ecological and fully biodegradable cleaning products, of course with recycled packaging. Our waste is separated as much as possible at the source and collected separately. For example, our organic waste or "swill" is eventually turned into bio fuel. As a campsite we try to contribute to the local economy. This is why we work together with suppliers from the area where possible. This, too, is doing sustainable business. Locally produced products only have to travel a few kilometers to end up with us. 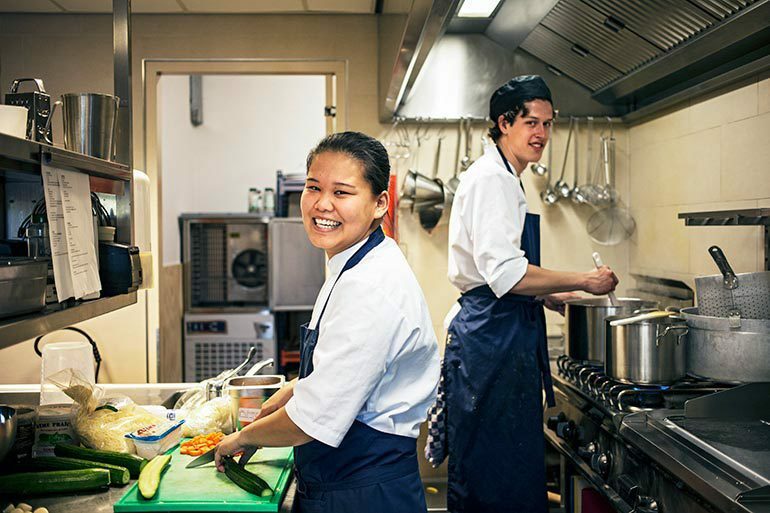 This means you can order a real Amsterdam meal in our restaurant. We consciously buy our steak and hamburgers at the biological butcher Kaddour in Amsterdam. Do you prefer no meat? Give a seaweed burger from The Dutch Weed Burger a try. Just as remarkable and at least as tasty. If you eat with us, you can be sure that your meal has been freshly prepared that day with as many products from the region as possible.